While there are many factors to be considered in a run for presidency, makeup seems to have played a key role in the first presidential debate in 1960 between John F. Kennedy and Richard M. Nixon. A tan and fit JFK elected (pun intended) to receive additional makeup assistance, while his opponent declined. Nixon was a mere four years older than JFK, but he looked far more pallor and aged as a result of his recovery from an infected knee injury and the flu. This translated on screen, to Nixon’s chigrin. Kennedy ended up winning the election that year. Did his appearance alone help him win? Surely not, but his lack of cosmetic intervention definitely played a part in how the country perceived this presidential candidate in this critical campaign moment. It should also be noted that Nixon chose to have makeup applied for his next debate against JFK. When Nixon sought presidential office again in 1968, he even made sure to travel to Florida and California to lock in a vibrant, golden glow before his TV appearances. Guess who won the election that time? … Ok maybe that wasn’t so great for the country as a whole (Watergate, anyone?) but you catch my drift. Greenberg, David. “Rewinding the Kennedy-Nixon Debates.” Www.slate.com. Slate, 24 Sept. 2010. Web. 21 Jan. 2015. Morton, Bruce. “Kennedy-Nixon Debate Changed Politics for Good.” CNN. Cable News Network, 26 Sept. 2005. Web. 21 Jan. 2015. 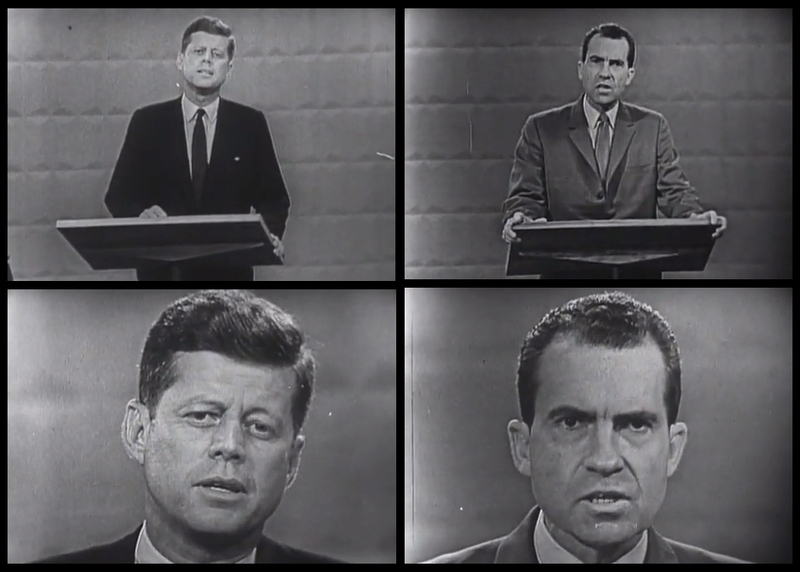 “1960 Presidential Debates.” CNN. Cable News Network, 1996. Web. 21 Jan. 2015. 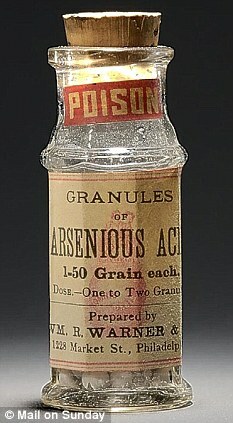 Lead-laden cosmetics throughout history are believed to be the cause for a multitude of deaths and mental illness exhibited by its wearers, many of them royalty and members of the aristocracy. Lead has been used in cosmetics for thousands of years as a result of the white, opaque quality it possesses. From the 16th to the 19th centuries, lead was widely used to make the wearer’s skin appear pale, emphasizing that they were not tanned from working outdoors like a peasant. The white cast was also employed to hide scars, blemishes, and signs of illness. Converse to what we believe as healthy now, they believed that a more pail white reflected health. Some studies have shown that, after the start of the 19th century, when society deemed makeup inappropriate and out of fashion, the incidence of mental illness among aristocrats dropped. It should be noted that lead was still used in dinnerware and plumbing, so society wasn’t completely devoid of the detrimental effects of lead ingestion. Their exposure was less, however, with the abandonment of cosmetic usage among the higher classes. 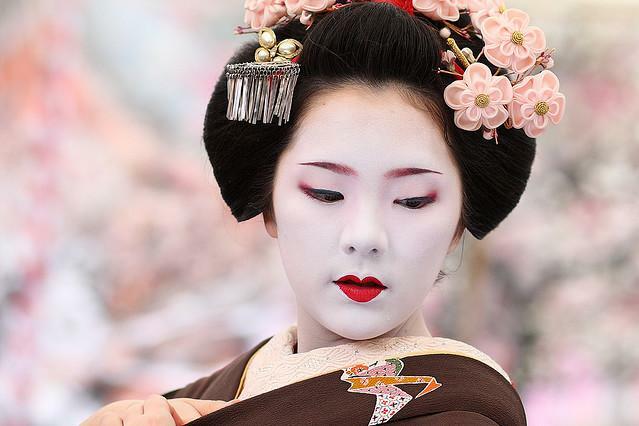 The use of lead-based cosmetics in Japan during the Edo period (1603-1868) by Kabuki actors, courtesans, geisha and others lead (pun not intended this time) to a large number of infant fatalities. In 1923, the first professor of the Department of Pediatrics at Kyoto University announced that infants suffering from what was initially thought to be meningitis were actually victims of the lead-containing, face powder used by their mothers (the exact vehicle of transference [breastfeeding, direct ingestion, etc.] could only be speculated, however). A 2010 forensic study of skeletal remains similarly concluded that they believed many infants at this time died or became ill from lead-laced cosmetics used by their mothers. Nakashima, Tamiji, Kohji Matsuno, and Takayuki Matsushita. “Lifestyle-Determined Gender and Hierarchical Differences in the Lead Contamination of Bones from a Feudal Town of the Edo Period.” Journal of Occupational Health 49.2 (2007): 134-39. Web. An Italian woman named Toffana in the late 17th century sold arsenic disguised as cosmetics to her murderous clients, seeking to do away with their husbands and become wealthy young widows. It’s suspected that she may have been responsible for the deaths of nearly 600 people. She was executed in Naples in 1709. Bell, Suzanne. Crime and Circumstance: Investigating the History of Forensic Science. Westport, CT: Praeger, 2008. Print. 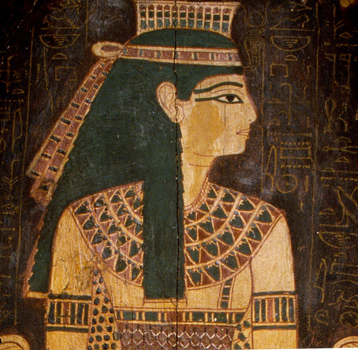 You may have heard that the black eyeliner created and used by Ancient Egyptians contained poisonous lead. That’s not new, but did you know that the use of small amounts of lead around their eye area might have played a hand in helping to protect them from disease? A report published in Analytical Chemistry, a semimonthly journal of the American Chemical Society, revealed that many Egyptians contracted infections by particles that entered their vulnerable and exposed eye area. Instances were particularly high when the Nile flooded. Turns out, the toxicity of lead could have actually killed some of the harmful bacteria that entered their eyes before it could cause more widespread infection. While the authors’ state that lead’s poisonous effects definitely caused more harm that good, it’s interesting to note that it may have been mildly beneficial as well. Tapsoba, Issa, Stéphane Arbault, Philippe Walter, and Christian Amatore. “Finding Out Egyptian Gods’ Secret Using Analytical Chemistry: Biomedical Properties of Egyptian Black Makeup Revealed by Amperometry at Single Cells.” Analytical Chemistry 82.2 (2010): 457-60. Web. Bhanoo, Sindya N. “Ancient Egypt’s Toxic Makeup Fought Infection, Researchers Say.” The New York Times 19 Jan. 2010: D3. Print. The organization Look Good Feel Better was created to help cancer patients improve their self-esteem by teaching them beauty techniques to disguise the visual effects of cancer treatment. Studies have shown statistically significant results indicating that, after participating in Look Good Feel Good programs, participants have improved self-image and social interaction in addition to decreased anxiety. High levels of anxiety have been shown in numerous studies to decrease the effectiveness of the immune response. Minimizing stress is particularly important for multiple reasons in patients undergoing immunosuppressive treatments like chemotherapy. Taggart, Linda, Laura Ozolins, Heather Hardie, and Joyce Nyhof-Young. 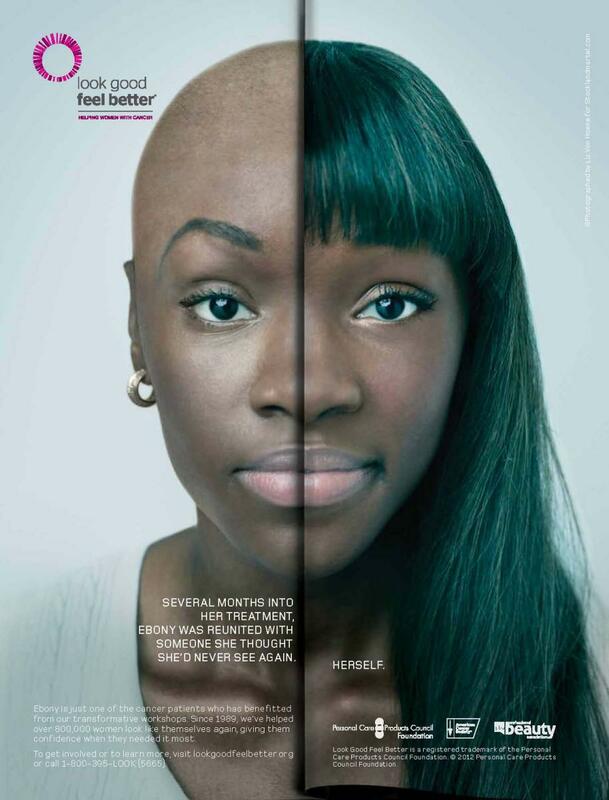 “Look Good Feel Better Workshops: A “Big Lift” for Women with Cancer.” Journal of Cancer Education 24.2 (2009): 94-99. Web. Segerstrom, Suzanne C., and Gregory E. Miller. “Psychological Stress and the Human Immune System: A Meta-Analytic Study of 30 Years of Inquiry.” Psychological Bulletin 130.4 (2004): 601-30. Web.